Navarinou Square in the co-capital of Greece, Thessaloniki, is an archaeological place from the Roman Period that’s in public use nowadays, full of cafes, bars and shops at the centre of the city. 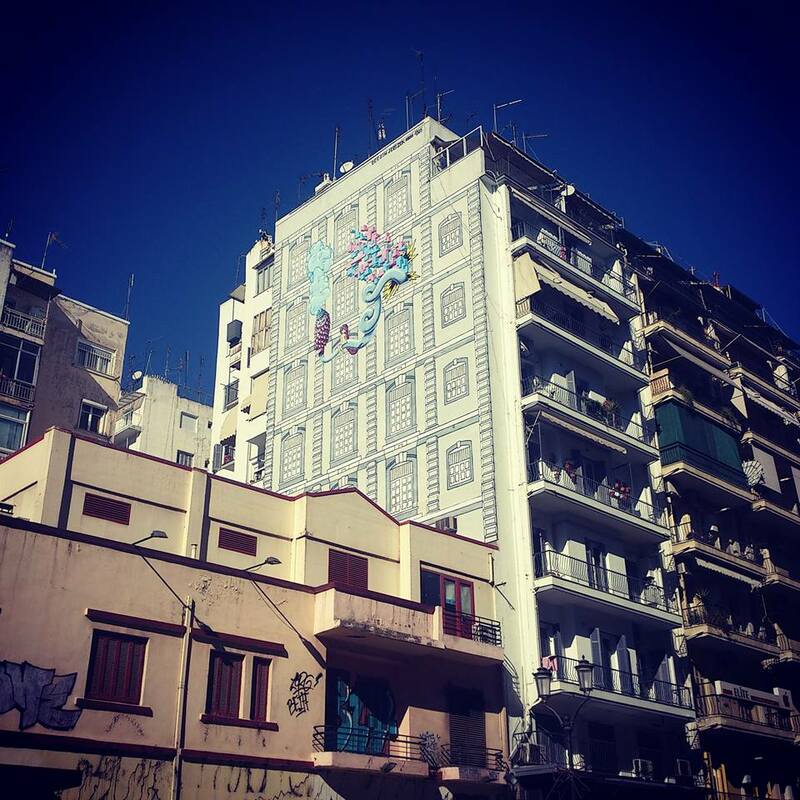 It’s considered quite an alternative part of Thessaloniki with a lot of people playing music on the streets, selling jewellery and drinking all day and night. It has it’s own character with the antiquities being surrounded by ugly old buildings that haven’t been preserved properly making it quite unique in all its juxtaposition. This enormous graffiti, which I captured in February 2016, seemed like an urge to beautify a place that’s been neglected despite the art history it bears for centuries. All its windows look dull and depressing but one of them stands out to bring colour and joy through creativity. Who knows what’s hiding behind that window? It doesn’t really matter as, in my opinion, they served their art well.